SCAI THE BATHHOUSE | Exhibitions | Past | Atsushi Saga "Perception"
For the past decade, artist Atsushi Saga has been mastering his technique of manually polishing the painted surface to attain a mirror-like effect, exploring the limit of what is possible by hand. His seemingly minimalistic configurations are made through painstaking and enduring repetition of engagement; however, unlike industrially finished material, the surface is manually conditioned and displays minute differences in its material depth and color. 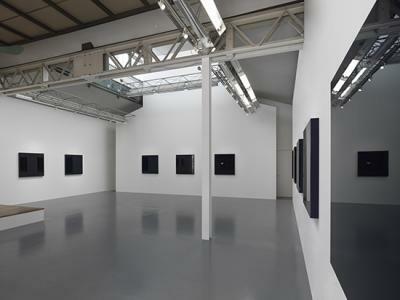 The exhibition at SCAI The Bathhouse, titled "Perception", signals the viewer to these fine differences confined within this medium plane. 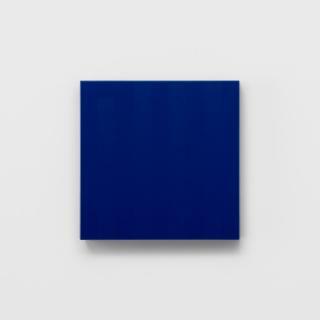 Saga eliminated shape and color from his canvases early in his career and reduced his practice to the utmost simplistic materials and methods. In so doing, he has referenced Japanese traditional art forms such as Noh, a musical drama in which performers express emotions through slow and minimal gesture. In “Perception”, Saga refers to Kodo, the Japanese art of appreciating incense – practiced as a game with a set of prescribed rules and manners. 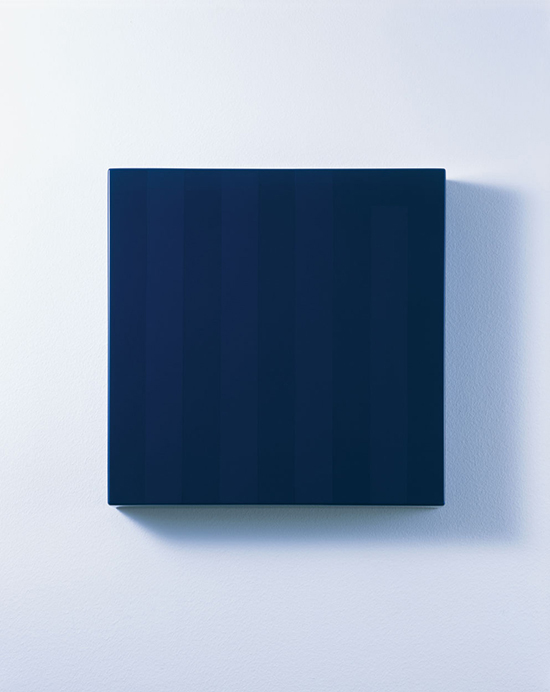 His new series "Inside" (2015-) are blue painted wood boards coated with Urethane, on which five vertical stripes subtly appear under the transparent layer. The five stripes are borrowed from the patterns used for the Genji-ko (Genji incense), in which participants are invited to appreciate five selections of aroma, and identify the same. This is described on the five-stripe diagram which Saga uses for his paintings. The artist suggests testing the scents, but subtlety describes it visually instead, following the grammar of Genji-ko, which dates from the Muromachi period (14th century). Within Western art history, the stripes evoke the work of Daniel Buren, who formed an artist collective BMPT in the late 1960s, Paris. For Buren, the stripes are imitable and easily duplicated as aesthetic archetypes and critical tools for addressing questions of how we look, perceive, and appropriate. 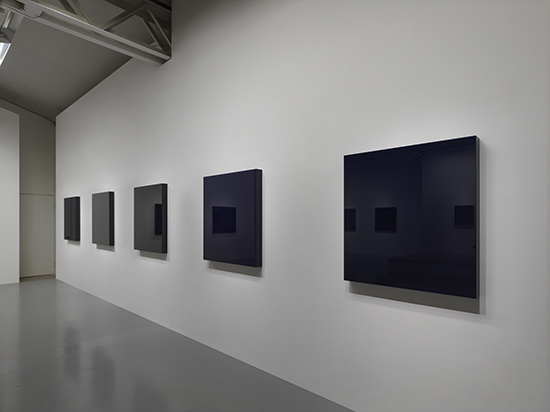 Saga imbues his painting with a vague stripe pattern through which the viewers negotiate their own reflections between seeing and gazing, perceiving and sensing. Within the realm of mirror-like reflection made through the gesture of Saga’s dedicated hand, the viewer is offered the intention of unrestricted field of vision. Born in 1970, Saitama prefecture. He graduated at Department of Painting, the Tama Art University, before working in the sculpture media. 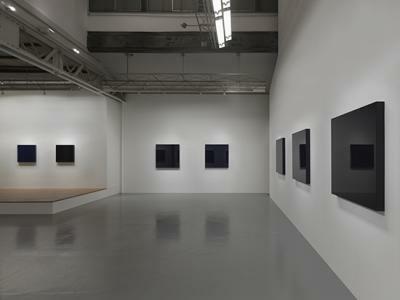 In 2004, he started white "MUMI" series, challenging the viewer’s perception and ability to observe the work that have been produced from painting and polishing. His notable exhibition include: years "MUMI + cube on white (Criterium 61)", Contemporary Art Center, Art Tower Mito, Ibaraki, 2004 - 05; "Another paradise", 21st Century Museum of Contemporary Art, Kanazawa, Ishikawa , 2005 – 06; "Yokohama Triennale 2011", Yokohama Museum of Art, Yokohama; and many others. 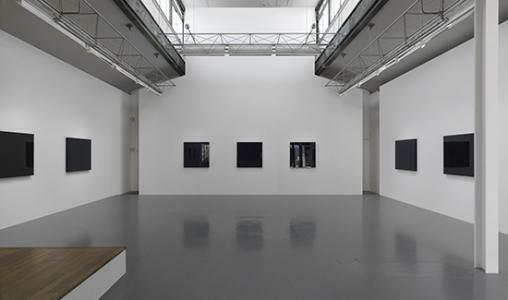 The exhibition accompanies an audio guide available on your smartphone. 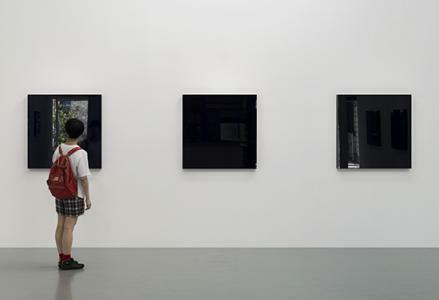 In this talk, the artist introduces his own artistic practice, and ideas behind his new series. 2. 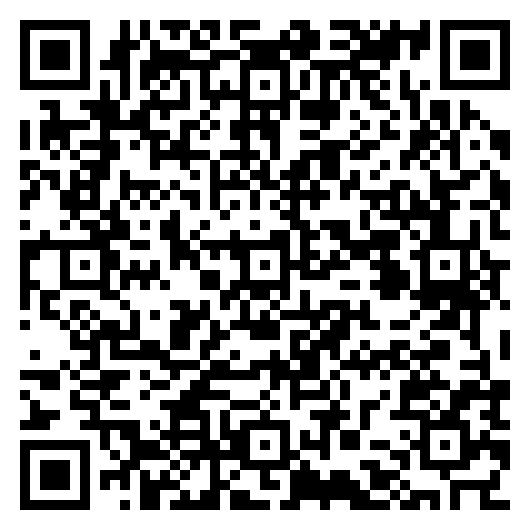 Lauch the app and scan the following QR code to download the content. inside/002, 2015, MDF, Urethane coat, 33.3 x 33.3 x 5 cm. Photo by Taku SAIKI.